All Americans deserve good dental health. Washington, D.C., agrees. Legislation aimed at improving oral health as well as access to oral health care — called the Action for Dental Health Act —is now law. President Donald Trump signed the bill on Dec. 11 after it was passed by Congress in November. The American Dental Association, which has led the Action for Dental Health initiative since 2014, approved of the bill’s passage. More than 180 million Americans don’t currently go to the dentist annually but this Act aims to change that. "This is a tremendous victory for dentistry and patients everywhere," said ADA President Jeffrey M. Cole in a statement. "The Action for Dental Health initiative shows what our profession stands for, which is that all Americans deserve good dental health. 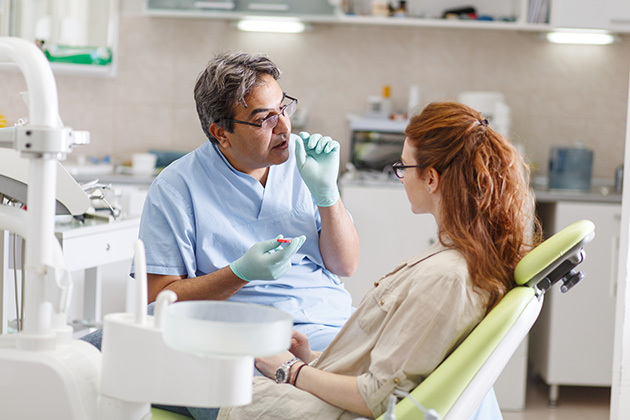 The ADA is pleased to see Congress prioritizing legislation that will improve access to oral health care and help prevention and outreach programs to combat dental disease before it starts." The important legislation, originally introduced by Reps. Robin Kelly, D-Ill, and Mike Simpson, R-Idaho, passed the House back in February. In October, it was passed by the Senate, where it was sponsored by several senators. By passing the bill, the Action for Dental Health Act will allow organizations to qualify for oral health grants. The organizations seeking grant money will have to support activities that improve oral health education and dental disease prevention. The Act will also enable groups to develop and expand outreach programs that facilitate establishing dental homes for children and adults, including the elderly, blind and disabled. "This bipartisan bill means that more families will have access to oral and dental health care," said Rep. Kelly in a statement. The increased access to care means that patients will receive early detection and intervention resulting in better outcomes, reduced costs and improved health. It’s a great first step in addressing what many dental professionals are calling a dental health crisis in America. This legislation is certainly a win for the dental industry. "We are sending a message that oral health is a priority for Congress," said Rep. Simpson. "Ultimately, the real winners are patients who need improved access to resources to enhance early diagnosis, intervention and preventive treatments which can stop the progress of oral diseases." Improve oral health education and dental disease prevention. Reduce the use of emergency rooms for dental care. Help patients establish dental homes. Develop Give Kids a Smile program for children without access to dental care. Reduce barriers, including language barriers and cultural barriers, to receiving care. Facilitate dental care to nursing home residents.